Our Michigan no-fault insurance lawyers take pride in making sure our clients receive the highest quality legal representation. 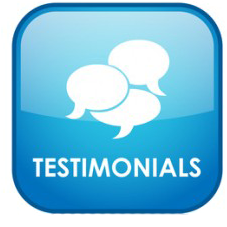 Below you will find what actual clients had to say about their experience with us. Find out why we are the most trusted no-fault insurance claims law firm in Michigan! If you or a loved one needs help with a no-fault insurance claim, it is important you contact a lawyer proficient in these types of cases. Call us anytime at (800) 606-1717 and a lawyer will answer all of your questions. If you have a claim, we will begin working on it right away, and you will not pay a single penny until you receive your settlement check! Client: Confidential Attorney: Lawrence J. Buckfire Case Type: No-Fault Insurance Benefits What Our No-Fault Insurance Client Said About Lawrence J. Buckfire "I couldn't be happier with Buckfire Law. Everyone was pleasant to talk to and more than willing to help us. E-mailing was an easy way to communicate. They always answered my questions. I would recommend them to anyone, and in fact, I already have." How Do I File A Michigan Auto Accident No-Fault Insurance Claim? The main steps to filing a Michigan auto accident no-fault insurance claim are: Step 1: Identify the insurance company responsible for paying no-fault benefits. This will depend on a number of factors, including whether you were the owner, driver, or passenger of the vehicle involved in the accident. If you were a motorcyclist, bicyclist, or pedestrian then there are different tests to determine which insurance company must pay your benefits. This is called the Order of Priority. Step 2: File an Application for No-Fault Insurance benefits with the proper insurance company. Step 3: Furnish the insurance company with medical authorizations, evidence of lost wages, and reports from your attending physician to prove that you were injured in the accident and required medical care as a result of your injuries. The report will also indicate if you are disabled from work due to the accident. Step 4: Send medical bills and information to the insurance adjuster to support the wage loss claim, such as tax records and pay stubs. Step 5: Send the insurance adjuster supporting documentation of other claims, including household services, attendant care services, medical mileage, and other claims. Who Is Entitled To Receive Michigan No-Fault Insurance Benefits? Every person injured in a Michigan auto accident is entitled to receive no-fault insurance benefits, regardless of who was as fault for the accident even if the victim did not have an auto no-fault insurance policy. This means that all drivers, passengers, pedestrians, and bicyclists are automatically entitled to benefits. The only exception is when the injured person was the driver and owner of an automobile that was not insured, even if that person was not at fault in the accident. If you were an injured passenger, pedestrian, or bicyclist and did not have your auto insurance policy, you can often file a claim under a resident relative's policy or with the Michigan Assigned Claims Plan. This will allow you to receive all insurance benefits after the accident. Michigan drivers injured in auto accidents in other states and out of state residents injured in a Michigan car accident can also often get No-Fault benefits. Motorcyclists may be entitled to benefits depending on the facts of the accident and if they purchased specific coverage for their motorcycle. Our attorneys will determine if you are entitled to benefits based on the facts of your accident. Best Michigan No-Fault Insurance Lawyers Our legal team includes the most successful no-fault insurance benefit attorneys in Michigan. Buckfire & Buckfire, P.C. and our lawyers have won the top awards in the legal profession, including: U.S. News & World Report Best Law Firms "Best Michigan Personal Injury Attorney" by American Lawyer Academy Named Top 100 Trial Lawyers in Michigan Honored as "Super Lawyers Top Martindale-Hubbell Rating (AV) for Skill & Integrity Our No-Fee Promise on Michigan No-Fault Insurance Cases You can afford to have the best no-fault insurance benefits law firm on your side. It costs nothing to get started and if your case is unsuccessful for any reason, you owe us nothing. We promise you in writing: No money to get started We pay all case costs and expenses No legal fees whatsoever unless you receive a settlement Phone calls are always free, forever Start Your Michigan No-Fault Insurance Case Today There are three ways to get started on your case. You can: Free Case Review Box on this page. We will contact you shortly. Chat with the online intake specialist and an attorney will be in touch soon. Call 1-800-606-1717 any time of day to tell us about your case. Warning: There are strict time deadlines for filing Michigan no-fault insurance lawsuits. Call us now to get started on your case and help you win the maximum settlement. Client: Jonell Styburski Attorney: Dondi Vesprini Case Type: No-Fault Insurance Benefits What Our No-Fault Client Said About Us Mr. Vesprini has been a very professional, understanding and a very good listener. I appreciate all his expertise and my settlement will greatly help me and my medical therapy. Highly recommend Mr. Vesprini to everyone! Sincerely, Jonell Styburski Royal Oak, Mich. Free Guide for Michigan Car Accident Lawsuits The Ultimate Michigan Car Accident Handbook details everything you need to know to chose your lawyer and file your lawsuit, and it is all explained in plain English. The book sells on Amazon.com for $14.95, however, if you request a copy through Buckfire & Buckfire, P.C. we will send it to you absolutely free of charge. Our free guide explains the Michigan car accident laws in easy-to-understand language. You will eliminate hours of stress, confusion, and uncertainty simply by reading this book. Best Michigan No-Fault Lawyers Our legal team includes the most successful no-fault benefits attorneys in Michigan. Buckfire & Buckfire, P.C. and our lawyers have won the top awards in the legal profession, including: U.S. News & World Report Best Law Firms "Best Michigan Personal Injury Attorney" by American Lawyer Academy Named Top 100 Trial Lawyers in Michigan Honored as "Super Lawyers Top Martindale-Hubbell Rating (AV) for Skill & Integrity Our No-Fee Promise on Michigan Car Accident Cases You can afford to have the best no-fault benefits law firm on your side. It costs nothing to get started and if your case is unsuccessful for any reason, you owe us nothing. We promise you in writing: No money to get started We pay all case costs and expenses No legal fees whatsoever unless you receive a settlement Phone calls are always free, forever Start Your Michigan No-Fault Benefits Case Today There are three ways to get started on your case. You can: Free Case Review Box on this page. We will contact you shortly. Chat with the online intake specialist and an attorney will be in touch soon. Call (888) 797-8787 any time of day to tell us about your case. Warning: There are strict time deadlines for filing Michigan no-fault benefits lawsuits. Call us now to get started on your case and help you win the maximum settlement. I am grateful I found the law firm of Buckfire & Buckfire to handle my personal injury claim and no-fault case after my Livingston County car accident. The service they provided to me was professional, going beyond my expectations. I cannot thank Buckfire & Buckfire, P.C. enough for helping in my No-Fault Insurance claim against State Farm Insurance Company. I am a quadriplegic as a result of a car accident and my insurance company denied me a portion of my insurance benefits. The firm was able to get those benefits paid quickly for me. The insurance company refused to pay my benefits after my Michigan car accident. Buckfire & Buckfire filed a lawsuit against them and made them pay every penny. I was referred to attorney Larry Buckfire by my physician after I was severely injured in a Michigan car accident when my car struck a deer. I sustained a number of serious injuries, including a traumatic brain injury, orthopedic injuries to my knees and back, and numerous other injuries. I have two masters degrees and was working in the human resource department for a large company in the Detroit area. Before the accident, I was a healthy and active person. I exercised regularly and worked everyday. Since the accident, I have been unable to do either. I was shocked when my own no-fault insurance company was refusing to pay my benefits for medical bills, wage loss, and attendant care services after the accident. I had assumed that because I had paid my premiums and was seriously injured in an accident, they would take care of me. I was wrong. The insurance company refused to pay my benefits. Mr. Buckfire filed a lawsuit against them and made them pay every penny that they owed. My case settled several years ago but occasionally there is still a dispute over a medical bill. I have since moved to California but I never hesitate to pick up the phone and call Larry. He promptly takes care of the problem. Written by: Michael M.